When Alfa Romeo vehicles, featuring Italian engineering, technology and performance, are unleashed on an iconic German track, new records are born. 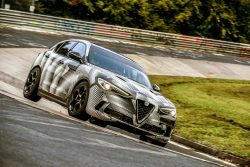 Alfa Romeo’s 505-hp Giulia Quadrifoglio sedan, and 505-hp Stelvio Quadrifoglio SUV, both posted record times when they were unleashed on the legendary Nürburgring in Germany. The challenging 12.9-mile road course features 73 turns and is the premier track of choice for manufacturers looking to benchmark their vehicles against the competition. The Giulia Quadrifoglio sedan record Nürburgring lap time of 7:32, is the fastest ever by a four-door production sedan. The Giulia Quadrifoglio, with a 0-60 mph time of 3.8 seconds, beat the old record by six seconds. 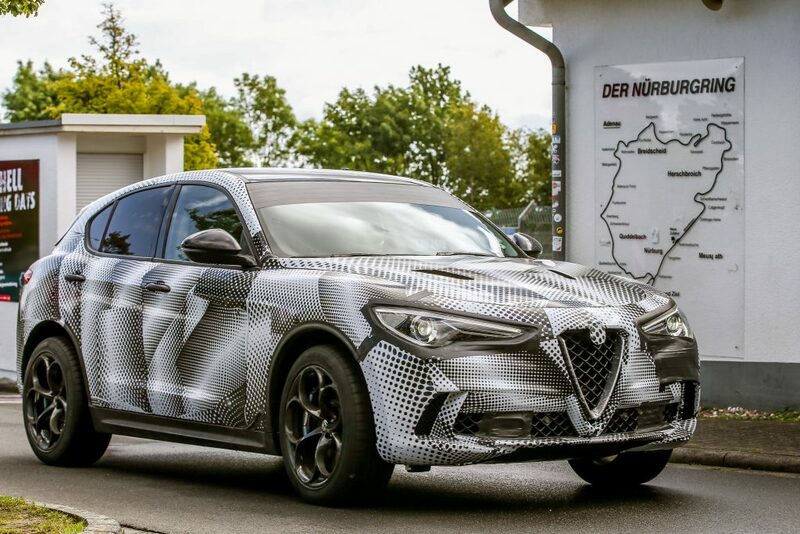 When the Stelvio Quadrifoglio, with a 0-60 mph time of 3.9 seconds, took to the track this past September, it set a Nürburgring record as the fastest production SUV with a lap time of 7 minutes and 51.7 seconds. This time was eight seconds faster than the previous production SUV record. 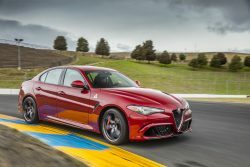 These benchmark times by the Giulia Quadrifoglio and Stelvio Quadrifoglio were set by Alfa Romeo test driver Fabio Francia. Both of these vehicles are powered by an all-aluminum, Ferrari-derived, 2.9L twin-turbocharged and intercooled V-6 engine that produces 505-hp, which makes it the most-powerful production Alfa Romeo engine ever developed. Both the Giulia Quadrifoglio and Stelvio Quadrifoglio are crafted by Alfa Romeo artisans at the Cassino plant in Italy, where they are infused with Italian passion, craftsmanship and innovation. In addition to sharing the same powerful engine, they are based on the same all-new Giorgio architecture. 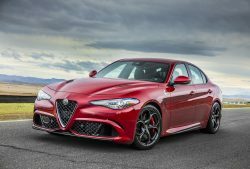 The Giulia Quadrifoglio is currently available at Alfa Romeo dealerships. The Stelvio Quadrifoglio will be available in early 2018. Learn more about the Alfa Romeo lineup by visiting the brand’s website at www.alfaromeousa.com.